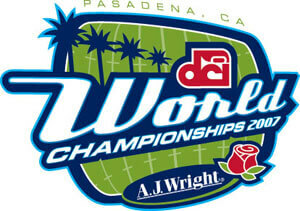 On Saturday, Aug. 12, Travelink, the official travel agency of Drum Corps International, announced its winner of a free trip to Pasadena, Calif., for the 2007 Drum Corps International World Championships. The winner, Patricia Kappe of Oak Park, Ill., and guest will be treated to round-trip airfare from their home city to the Los Angeles area including two luxurious nights at the Ritz Carlton Hotel. All travel arrangements are compliments of Travelink. Drum Corps International, in partnership with Travelink, has launched a new travel Web site available at DCI.org where fans can make travel arrangements for DCI events. Whether you're the greatest fan, experiencing your very first show, or planning your next vacation, Travelink can assist in servicing and providing exclusive travel offers and unique trips to destinations worldwide.